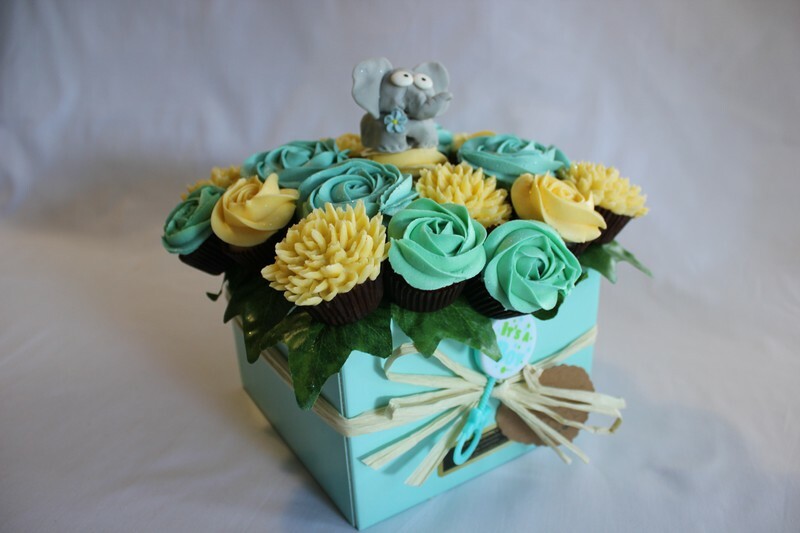 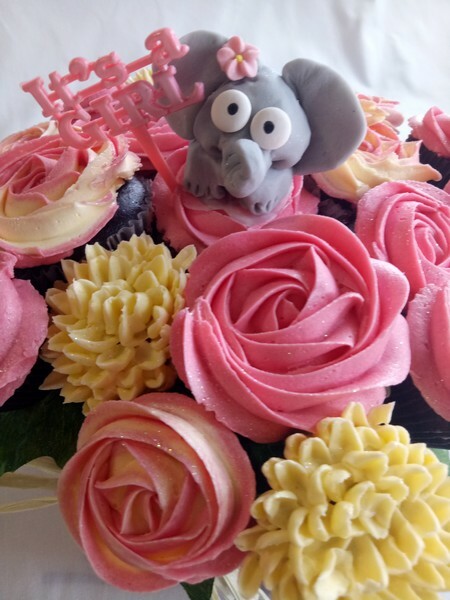 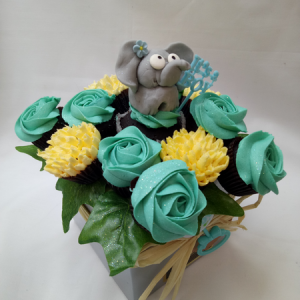 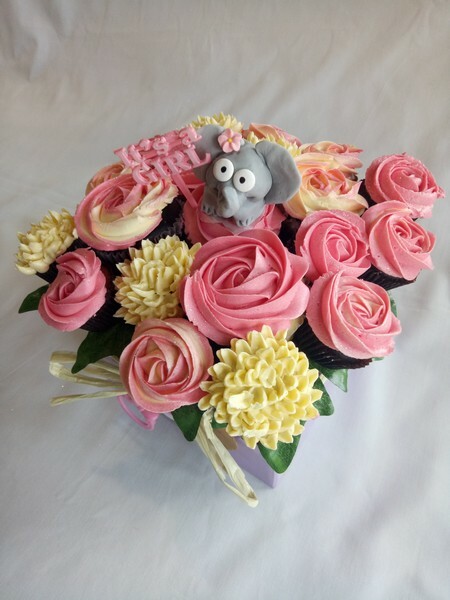 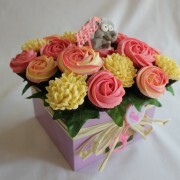 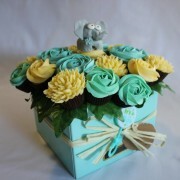 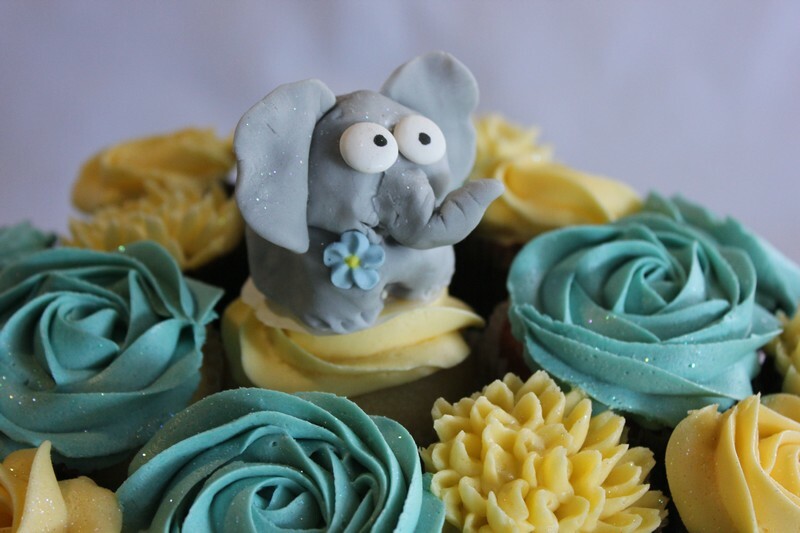 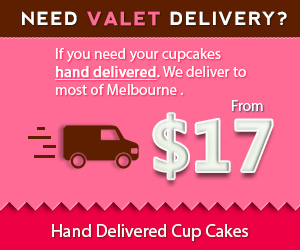 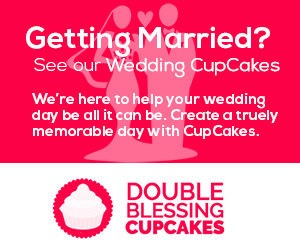 Great way to celebrate the arrival of a child and congratulate the family with a bouquet of cupcakes. 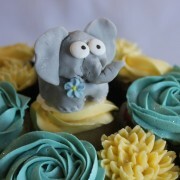 SKU: BABY. 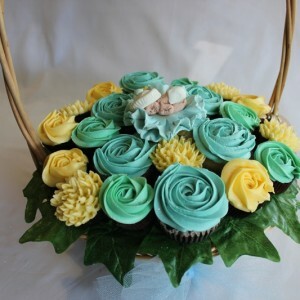 Categories: Babies Arrivals, Baby Shower. 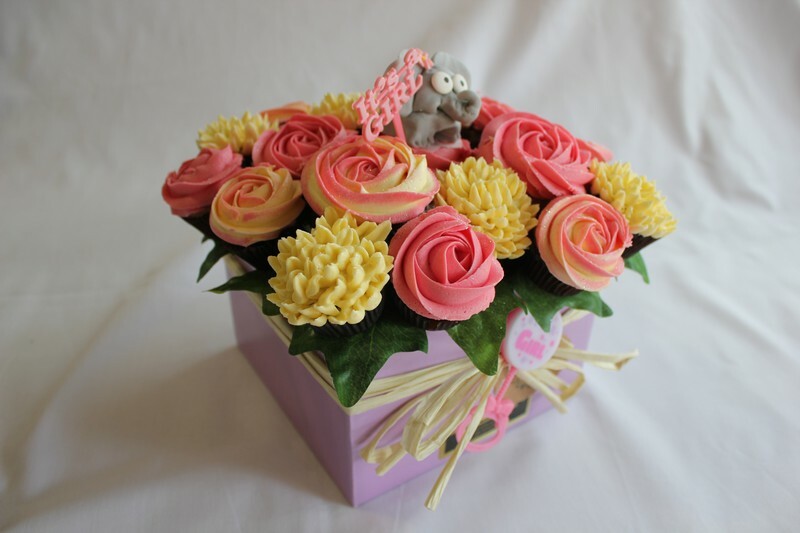 This 20 mini Cupcake Bouquet comes in a floral box. 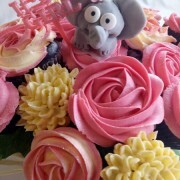 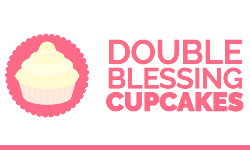 Available in three favours, Chocolate, Vanilla Coconut and Red Velvet.